The iconic Madisonville lighthouse got brand new windows for its 150th birthday. The historic Tchefuncte River fixture, built in 1868 to replace the Civil War-ravaged 1836 structure, has been undergoing renovations for the past few years, thanks to a grant and private donations. In November, two impact-resistant windows were installed in the stairwell of the lighthouse, said John Ammerman, president emeritus of the Lake Pontchartrain Basin Maritime Museum. He has been working to bring attention to the lighthouse for several years. The new stairwell windows follow the installation in 2017 of 10 new glass windows in the lighthouse lamp room and repair to steps on the spiral staircase after Hurricane Isaac in 2012, Ammerman said. “Now the whole thing is secure,” he said, adding that the improvements should cut down on vandalism. Another problem is erosion, Ammerman said. Coastal erosion has already eaten into the mouth of the Tchefuncte, which is why the lighthouse is now a quarter-mile west of the mouth of the river. 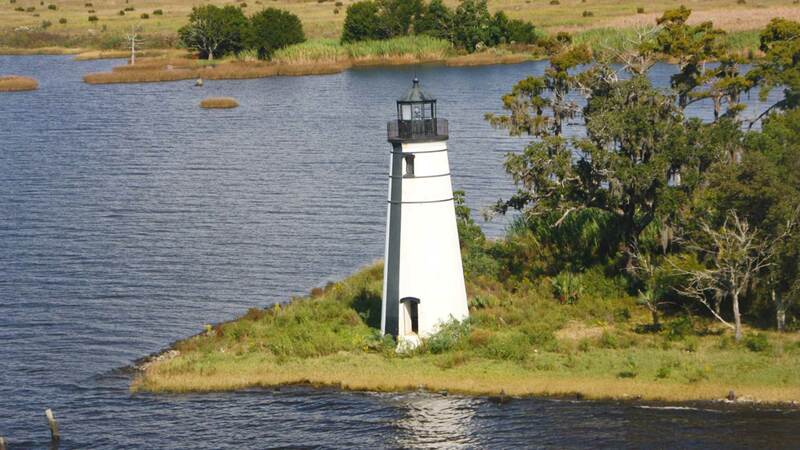 The hope is to build a bulkhead, breakwater, pier and dock to help protect the lighthouse. All of the permits are secured, Ammerman said, but money is needed. The Lake Pontchartrain Basin Maritime Museum has created a GoFundMe account to help raise $1.5 million. The town, which owns the lighthouse, wants to eventually make it a tourist area, Ammerman said, though there are challenges. The property is an island, and the only way to get there is by boat.